The Yardbirds were a 1962 british rock band, noted for spawning the careers of several of rock music's most famous guitarists, including Eric Clapton, Jeff Beck, and Jimmy Page. Jeff Beck replaced Eric Clapton, who went on to the Bluesbreakers. Beck then asked Page if he would like to join the band as a bassist, but quickly switched to guitar. 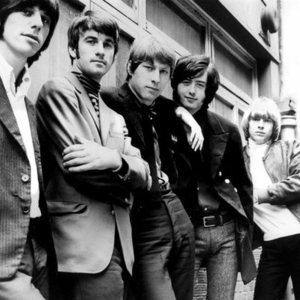 The Yardbirds were a blues based band whose sound evolved into experimental pop rock, they had a string of hits including For Your Love, Over, Under, Sideways, Down and Heart Full of Soul. They were the crucial link between British Rhythm and Blues and psychedelia; they set the framework for heavy metal explored further by Led Zeppelin and the guitarists they spawned were extremely influential in music. They broke up in 1968. They had a short but powerfull appaerance in the movie Blow Up from Antonioni.